The end of August means it is officially the end of summer. Boooooo. It has been a good month for me. And this past week has been totally awesomeeeeee for me – from being more active on my blog and on twitter to the events I attended. I have been filled with so much joy that I hope it continues into September. On the 23rd, I saw No Man’s Land that starred Patrick Stewart, Ian McKellen, and Billy Crudup. IT WAS SO BRITISH AND AMAZING. And I got Ian McKellen’s autograph. YEEEEEEEEEEEEEE!! He brushed past me to move through the small crowd. AHHHHHH. One of my best nights. My sister left for school in Chicago, which meant she gave me her laptop (which is in really good condition). I am excited because y’know, I was without a laptop since I knocked my old laptop over in July. I became obsessed with The Thrilling Adventure Hour podcasts, specifically “Beyond Belief” segment, because of Rainbow Rowell, who I blame. Everybody needs to listen to it. DEFINITELY THE BEST, BEST, BEST NIGHT I EVER HAD. How was your August? Was it as awesome as mine? 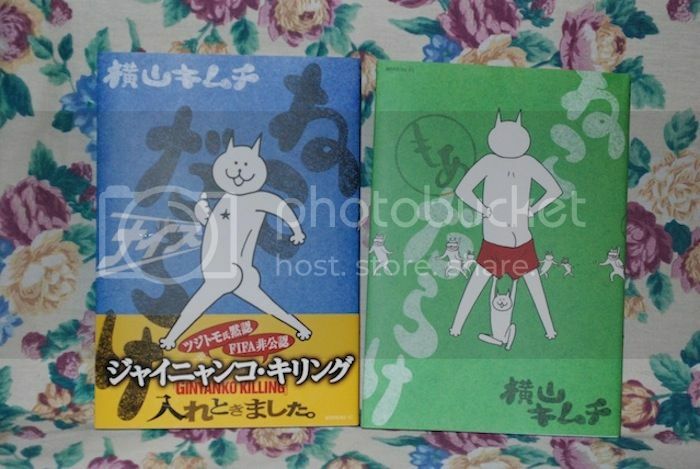 Haha those Cat Butts are funny even though I’ve no idea what it’s about. Also, we’re book juggling soul mates ’cause I juggle books all the time lately. I will need to check out your post and be humbled by it. I mean just two days ago, I was reading four books, now I’m reading two. I need some serious help. OMG I am so jelly that you got to meet Sarah J! I absolutely adored CoM. I can’t wait for This Song Will Save Your Life either! 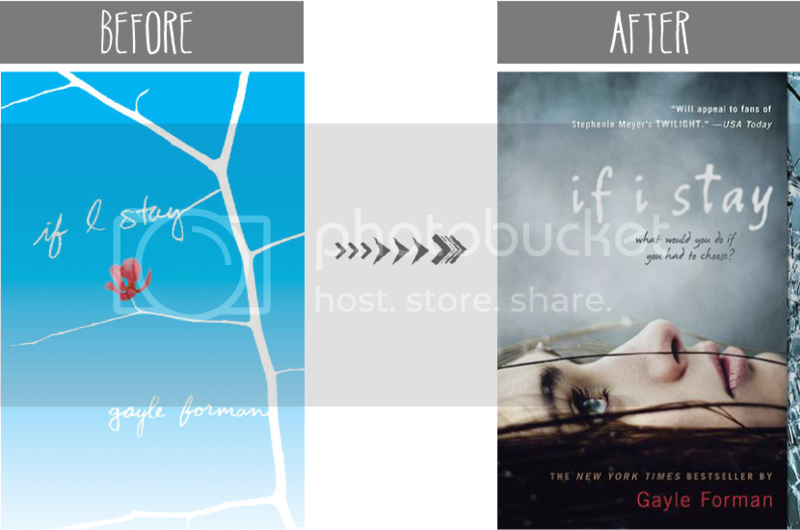 First of all: I love your blog and all those graphics! SO CUTE. Now on to the post! Aside from the end of August being the end of summer, it sounds like you had a wonderful month! AND OH MY GOD. YOU MET IAN MCKELLER AND GOT HIS SIGNATURE AND THEN YOU MET AND TALKED TO SARAH MASS?! Seriously though, you’re so lucky! Now you better hang that poster(?) up in a place of honor. ;) And LOL. Cat Butts? Sounds interesting. I’m pretty much waiting on all those you are – except for This Song Will Save Your Life. That book was fantastic. I really hope you get to read it soon! 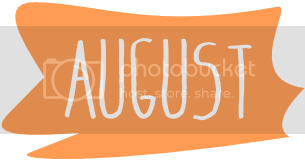 LOVE YOUR MONTH OF AUGUST!! I’m just starting on Throne of Glass, and all friends who’ve read this have loved it to pieces, so I sure have high hopes :) As for the If I Stay cover change… I think the Before would’ve been more eye-catching, and not-so-clichéd YA-girl-on-cover-look, though I love the cover scheme and orientation of the After! Wohoo! You’ve got gorgeous covers there. Throne of Glass is still buried under my TBR pile but I’m hoping that I could read it soon. Please enjoy your reads! Haha, I love how your bf gifted you cat butts! I actually saw another blogger recently get these same two books. Can’t remember who though! And how cool that you both are working on a YA story together! Ian McKellen’s autograph? How cool! Soooo jealous! And awesome for meeting Sarah! 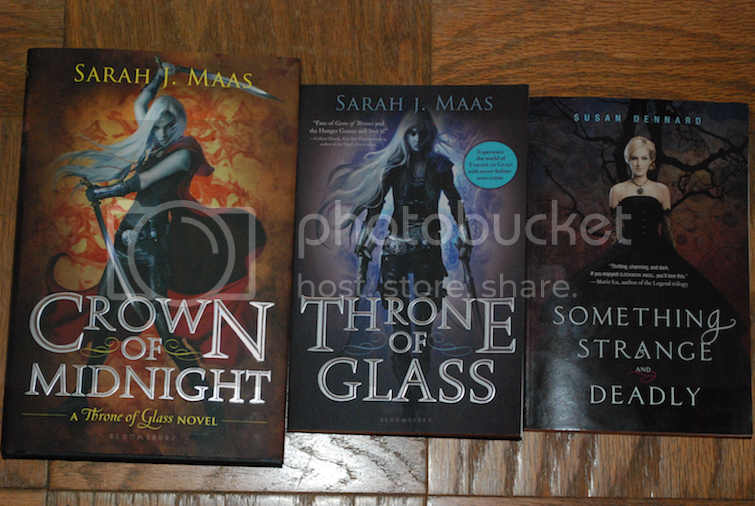 I just bought the first two Throne of Glass novels this past week and can’t wait to read them. I hope I love them as much as everyone else! 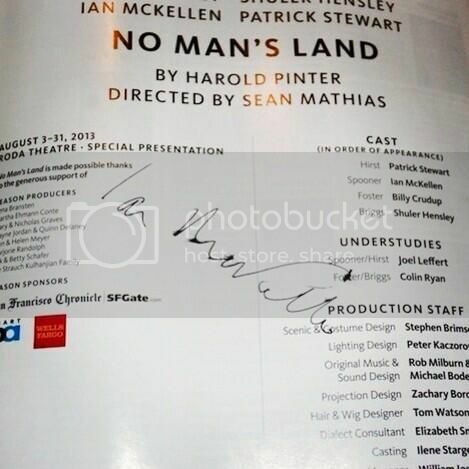 Can’t believe you got Sir Ian McKellen’s autograph-that is so cool! Hope September is a good month for you too!